Everyone who comes onto a personal training programme at DMC is unique. We understand that and ensure that each program is tailored to your chosen goals and also fits perfectly into your personal routine and lifestyle. 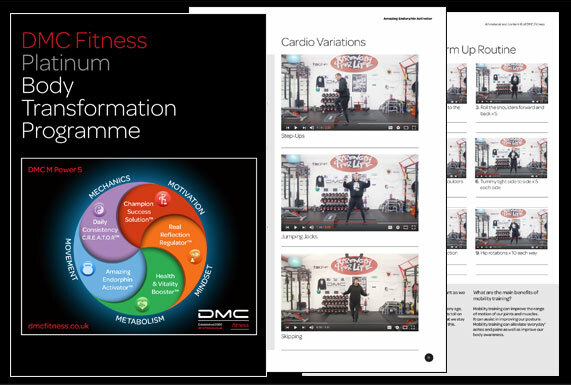 The DMC Platinum Program is our flagship 12-week programme and is, in our opinion, one of the best health and fitness coaching programs available today. Here is an overview of the content within the Platinum Programme. 12 weekly one-hour private coaching 1-2-1 sessions. A professionally designed and produced 80-page manual. All of the movement-based content comes with a series of professionally shot tutorial videos. An individually-tailored personal training programme designed around your own level of ability, lifestyle, and schedule. In-depth food and eating review with weekly guidance to ensure maximum health and vitality. This comes with a selection of cookery videos, recipes and blogs. Detailed goal setting and goal achievement coaching. Fitness assessments and body measurements recorded at the start and on completion of the programme accompanied by detailed analyses and reports of results with individual and overall improvements noted. Access to the DMC Fitness members’ area which houses all our video content. Entry to our private DMC Fitness Student motivation and accountability group. Weekly emails and communication from DMC. Davie McConnachie’s 100% satisfaction guarantee (T & Cs apply). One of the DMC personal trainers will guide you through this programme, teaching you everything you need to know from how to perform the correct warm-up and cool-down routines through to bodyweight circuit training, goal setting and goal achievement as well as advice on what to eat for optimal health and vitality. Whatever you need we will tailor the routine to fit perfectly into your lifestyle making it specific to your personal goals. We understand that every person that joins our training programme is unique and that they will need different levels of training. Therefore we tailor each programme to suit to your ability and goals. We have a solid philosophy and process that we teach however this is only a guideline and our programmes are not the one-glove-fits-all type. They are tailored to the goals, ability, lifestyle and schedule of the person we are coaching. 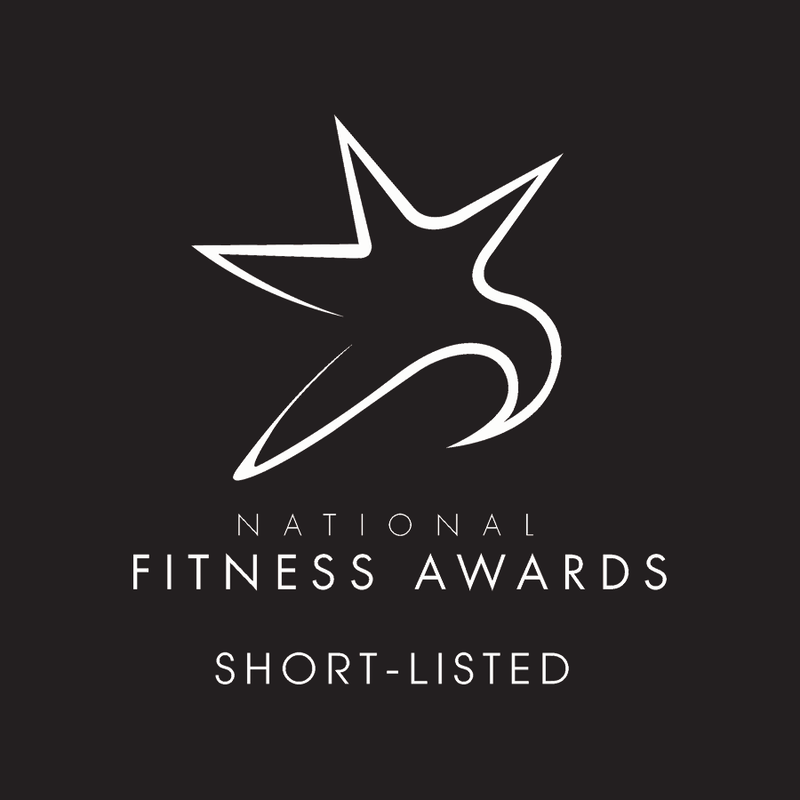 We were the only privately owned 1-2-1 coaching facility in the UK to be shortlisted out of 1000s of entries, so we’ve been recognised for our high standards. 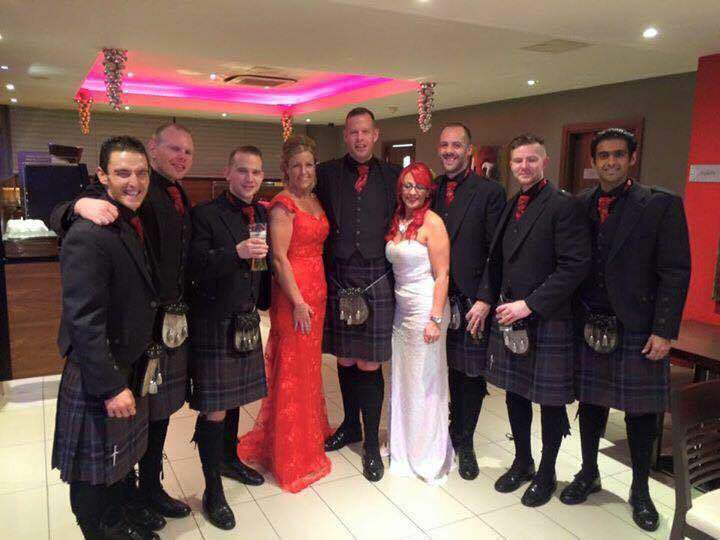 In 2015 we were shortlisted again and this time we came first runner-up in the Scottish Gym of the Year category. The DMC Platinum programme is our most popular 12-week personal training package and can be taught to anyone, from someone who has never exercised before to the experienced, regular gym user.